No. Part of our service to you and our employers is the prescreening process that we have established. This not only helps us determine if you are a qualified candidate for the employer but it also allows us to get to know you and your needs. You may fill in the Information Form and we will contact you regarding a personal interview. Is there a fee to me? There is no fee to the applicant. If there ever is any fee associated with the position, it will be paid by the employer. It all starts with scheduling an appointment to meet with one of our career consultants. During the interview we will discuss the positions that we currently have available and submit your resume for those you are qualified for. Once you have completed the testing and interview process, your resume and test scores will be placed in our database. When new positions come in that you are qualified for, we will refer you to our client for consideration for that position. If you are selected for an assignment or if the client wishes to meet with you for an interview, we will contact you with details to schedule you accordingly. What do I have to do to register with Personnel Staffers? First, call us to schedule your appointment. Upon arriving, you will be asked to complete our application and other paperwork. Please bring two forms of identification with you, preferably your driver’s license and social security card, and two copies of your resume (we prefer that one be on disk in Word format). You will meet with a career consultant to discuss your current skills, work history, and job requirements. You will then test on our ProveIt!® testing software. This whole process takes approximately two (2) hours. What will I be tested on and how long does it take? You will be tested on various skill sets if you are applying for administrative, secretarial, clerical and/or accounting positions. Testing will be determined by our career consultant based on your previous work experience and could include a speed typing test, MS Word and other software, data entry, and/or accounting. The interview process including testing takes approximately two (2) hours. What types of jobs do you have available? We primarily offer placements in office support which include secretarial, clerical, administrative, data entry, customer service, accounting, and sales. We place part-time, full-time, short-term, long-term, temp, temp-to-hire, and direct hire. Do you have a lot of jobs? Does Personnel Staffers have resources available to help me improve my computer skills? We have a computer lab at our office that is available to all of our associates. If you would like to practice a particular software or would like to work through exercises to improve your skills, we have several options available to you. We also offer private instruction for a small hourly fee. I am already registered with Personnel Staffers? Do you still have my information? All documents are maintained for three (3) years, however, if we have not had contact for one (1) year or longer, we will ask you to make another appointment with us to get reacquainted, and update testing and your resume. Can I register with other staffing firms in the area at the same time I am registered with Personnel Staffers? While it is our preference that you only register with Personnel Staffers, many of our associates have been or are currently registered with other firms to increase their networking options. Hopefully, Personnel Staffers will be the first service to put you to work. Can I still look for jobs on my own while I am registered with Personnel Staffers? Yes. We suggest you continue your job search on your own to supplement our efforts in finding you employment. If you find employment on your own, please contact our office to notify us and we will place your file in an inactive status. Do I have to call every week to let you know that I am still interested in work? 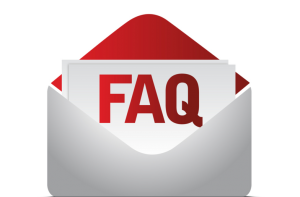 No – but, you may contact us anytime you have a question or if you would like to know more information about any position posted on our website. We automatically submit your resume for jobs that match your skills. If there is interest from an employer, you can be sure we will contact you. If you find a position on your own, be sure to contact us so that we can update our files. How am I informed about jobs that might be available for me? You will be contacted by phone or e-mail when we have something available for you. We may contact you to start a job or to schedule an interview. We will provide all the details you need to know to report to work or to report for the interview when we contact you.